Location: Stranraer, Dumfries and Galloway, Scotland. Condition: Restored as a museum. Ownership / Access: Dumfries and Galloway Council. 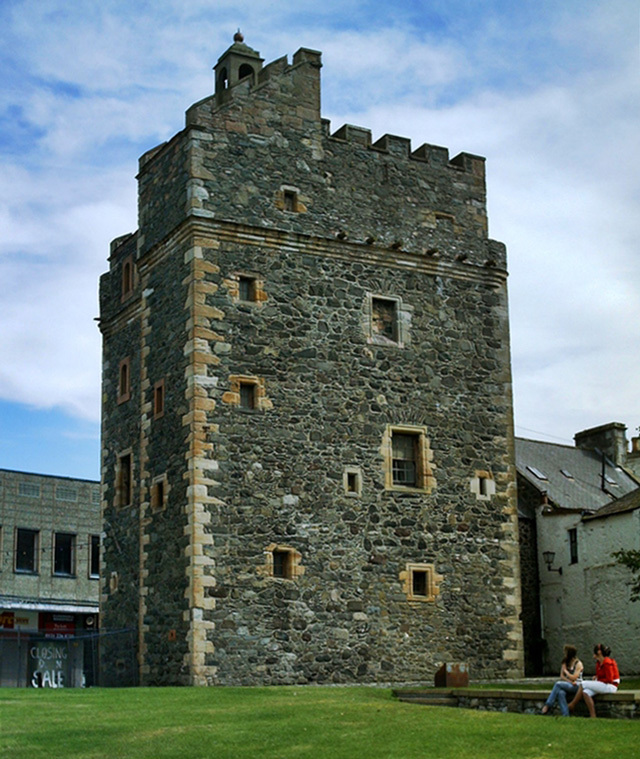 Notes: The Castle of St. John is an early 16th-century L-plan tower house in the centre of Stranraer, in Dumfries and Galloway, southwest Scotland. It was built by the Adairs of Kilhilt c.1510. It has been used as a home, a court, a prison, and as a military garrison during the "Killing Times" of Covenanter persecution in the 1680s. The castle was refurbished in the late 1980s and is now a museum.